Lindsay Hugé, a veteran Assistant Public Defender, has announced his intent to run for the Cook County Circuit Court in the 2016 Democratic Primary. That's a link to Hugé's campaign website in the preceding sentence; a link has also been added to the blog sidebar. Hugé has been licensed as an attorney in Illinois since 1989, and has been with the Public Defender's office throughout his career. According to his campaign website, Hugé also taught history at DePaul University from 2001 to 2003 and has taught law and history at Columbia College since 1998. While still teaching and practicing law, Hugé found time to earn a second M.A. in literature from DePaul in 2008 (he earned an M.A. in history from Loyola University Chicago in 2000) and an LLM in intellectual property from John Marshall Law School in 2014. According to his campaign website, Hugé also serves on the boards of the Cliff Dwellers Club and the City Lit Theater. Hugé resides in Uptown with his wife and son. He has launched his campaign with a $50,000 donation, according to the Illinois State Board of Elections. Supporters of Judge Edward J. 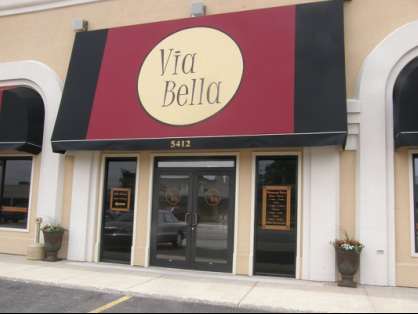 King's bid to hold his 4th Subcircuit seat are planning a fundraiser for their candidate this Wednesday, June 24, starting at 5:00 p.m. at the Via Bella Restaurant, 5412 S. LaGrange Road in Countryside. Tickets for the event are $75 apiece and will be available at the door. For more information about the event, or to reserve tickets, call (630) 247-1890 or email edwardjkingforjudge@gmail.com. The Illinois Supreme Court appointed King to the Kunkle vacancy in the 4th Subcircuit last October. Brendan O'Brien's judicial campaign now has launched a campaign website. That's a link to the site in the preceding sentence; a link has also been added to the blog Sidebar. 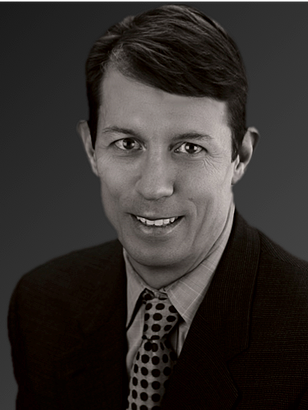 O'Brien has been licensed as an attorney in Illinois since 1996. He was an appropriations and research analyst on the staff of House Speaker Mike Madigan in 1991-1992, after taking his bachelor's degree at Illinois State and before starting his law school career at John Marshall Law School in Chicago. O'Brien has practiced with Hinshaw & Culbertson LLP since 1999. 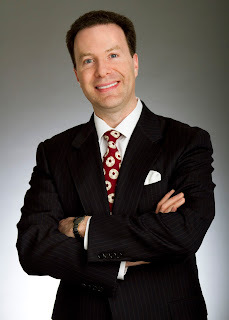 Brendan O'Brien is the grandson of Judge Donald J. O'Brien, the longtime presiding judge of the Chancery Division, and the son of retired Judge Donald J. O'Brien, Jr. Brendan is married to Jessica A. O'Brien, who was elected to the Cook County bench in 2012. Judge Jerry Esrig is running to hold onto the Berman vacancy in the 9th Judicial Subcircuit. That's a link to Esrig's campaign website in the preceding sentence; a link has been added to the candidate list in the blog Sidebar as well. Judge Esrig is serving in his second appointment to the Circuit Court. First appointed to the bench by the Illinois Supreme Court in 2013, Esrig ran unsuccessfully in the 2014 primary, falling short in a race that, in the opinions of the several screening bar associations, featured two of the most highly qualified or recommended candidates (Esrig being one of them) in the entire 2014 primary field. As a judge, Esrig's "assignments have included the Municipal Jury Trial Assignment Call," described by his campaign website as "a challenging, high-volume call which includes emergency motion, case management, status, assignment, motions of course and fully briefed substantive motion calls." Esrig was licensed as an attorney in 1978 and, before his appointment to the bence, was a founding partner in the firm of Zaideman & Esrig, P.C.. From roughly 1985-1999 the firm was known as Epstein, Zaideman & Esrig, PC. (former Appellate Court Justice James Epstein, was a partner in that firm before he went on the bench). According to his website, Esrig "represented individuals who have been profoundly injured in catastrophic events" and "small and medium sized businesses and associations in commercial matters." According to his campaign website, Esrig served as secretary and then president of Am Yisrael Synagogue. As president, he helped initiate construction of the Rabbi William and Toby Frankel Religious Education Center. He has also coached AYSO soccer and Evanston Youth Baseball. Found on the Internet: A campaign website has been put up for Assistant State's Attorney Maureen O'Donoghue Hannon. That's a link to the site in the preceding sentence; the link will be added to the blog Sidebar (which I am obviously going to have to put up soon). Hannon was briefly a candidate in the 2014 election cycle, withdrawing in January 2014 and leaving the Democratic Party's slated candidate (and the eventual victor) Diana Rosario in a one-on-one contest with Stephen J. Feldman. Hannon's campaign website at this point is an updated version of her 2014 site; she has also launched a 2016 campaign page on Facebook. Licensed in Illinois since 1991, Hannon's website notes that for the past four years she has served as Supervisor of the Conflicts Counsel Unit in the State's Attorney's Office, representing "County defendants in cases with a potential conflict of interest that were formerly sent out to private firms." Hannon has worked in several different capacities in the State's Attorney's Civil Action Bureau during the course of her career. Pre-Slating will be held June 25-26 for offices up for election in 2016. Please contact the Cook County Democratic Party for the information needed to be submitted prior to receiving a scheduled time for this process. Slating will be held in August of 2015, dates to be announced. 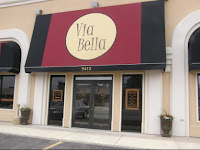 For questions or further information please contact the office at (312) 263-0575. Appearing at the "pre-slating" process is, of course, no substitute for a close, personal relationship with one or more, or preferably dozens, of ward and township committeemen. But, for the candidate interested in obtaining Party support, what can it hurt? Supporters of Judge Robin D. Shoffer's bid to remain on the bench are planning a Tuesday, June 23 fundraiser for their candidate, from 5:30 to 7:30 p.m., at the Metropolitan Club on the 67th floor of the Willis Tower. The suggested donation for the event is $250. Persons interested in attending are encouraged to email kim.waller@willis.com or call (312) 288-7265 as soon as possible for tickets or more information. The Illinois Supreme Court appointed Judge Shoffner to the Williams-Hayes vacancy in the 5th Subcircuit late last year. Before becoming a judge, Shoffner served as an Assistant Corporation Counsel for the City of Chicago. Shoffner's campaign bio clarifies that she served two stints in the Corporation Counsel's office, the first time early in her career. Shoffner began her legal career working as a law clerk for then-Circuit Court Judge Benjamin Mackoff; later, before moving onto the City Department of Law, Shoffner served as a law clerk to the late Appellate Court Justice Glenn T. Johnson. In between stints with the Corp Counsel's office, Shoffner worked in a number of private-sector positions including a seven year hitch with Aon Service Corporation as senior litigation counsel. According to her campaign website, Judge Shoffner served as president of the Black Women Lawyers Association (in 1996). 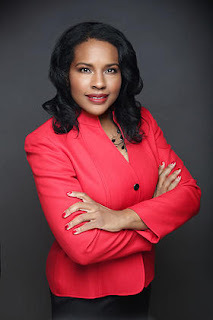 She has also served on the board of the Cook County Bar Association and, among many other community activities, as a member of the Pastoral Council and Finance Council of Holy Angels Church. 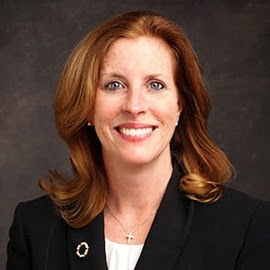 Supporters of Cook County Circuit Court Judge Eileen O'Neill Burke's bid for the Illinois Appellate Court are planning a fundraiser for their candidate on Thursday, June 18 at fadó Irish Pub, 100 W. Grand Ave., from 5:30 to 7:30 p.m. Individual tickets for the event are $150 each, but sponsorships are available (Bronze - $250, Silver - $500, Gold - $1,000, or Platinum - $5,400). To reserve tickets for the event, visit Judge Burke's campaign website. For more information concerning the event, email info@judgeburke.com. Three hundred seventy six of the 384 associate judges who sought new terms were reelected to the bench by their full-circuit colleagues, according to election results announced this week by the Administrative Office of the Illinois Courts. Every one of the 140 Cook County associate judges who applied was chosen for a new four-year term. Of the eight Downstate judges who sought retention unsuccessfully, one was from Will County (12th Judicial Circuit) and another was from the 6th Judicial Circuit (the circuit which includes Champaign County). According to Beth Hundsdorfer's article in the June 11 editions of the Belleville News-Democrat, the other six were from Madison and St. Clair Counties, including the only African-American jurist in St. Clair County, Laninya Cason, and the only two African-American judges in Madison County, Duane Bailey and Ben Beyers. According to Hunsdorfer's article, every one of the six judges not retained in Madison and St. Clair Counties had been recommended for retention by the Illinois State Bar Association with the sole exception of Judge Cason. "In recent years," Hunsdorfer reported, "Cason switched her party affiliation from Democrat to Republican." Illinois Supreme Court Rule 39(a)(1) provides, in pertinent part, "The terms of all associate judges in office shall expire on June 30th of every fourth year subsequent to 1975, regardless of the date on which any judge is appointed." Cook County Circuit Court Judge Eileen O'Neill Burke has announced plans to seek a seat on the Appellate Court in the 2016 Democratic Primary. That's a link to Judge Burke's campaign website in the preceding sentence; the link will be added to a blog Sidebar when enough Appellate Court candidate websites are accumulated. Judge Burke currently presides over an individual calendar in the Commercial Calendar Section of the Law Division. Since her election to the Circuit Court in 2008, Judge Burke has served in a number of assignments, including a Law Division motion call. 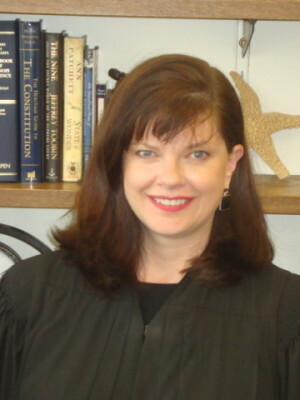 Burke's website notes that, before becoming a judge, Burke had her own firm, handling both criminal defense and civil matters. She began her career in the Cook County State's Attorney's Office, serving there for 10 years and, along the way, writing "more than 100 appellate briefs, and [arguing] more than 35 times in the 1st District Appellate Court." Also, according to her campaign website, Burke has also argued three cases before the Illinois Supreme Court. Judge Burke has served on the Alumni Board of Directors of her law school alma mater, IIT Chicago Kent Law School, since 2012. Her campaign website also notes that she has served as a "host judge" for Women Everywhere, welcoming underprivileged high school girls to the courthouse and presenting information about different career options. 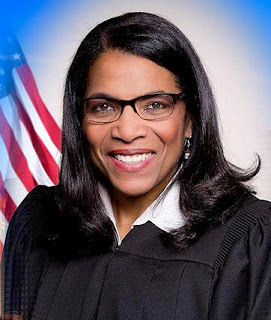 Judge Burke has also participated, according to her campaign website, as a presenter in the "Civics in the Classroom" and "7 Reasons to Leave the Party" programs sponsored by the Illinois Judges Association (on which she serves as a member of the Board of Directors). 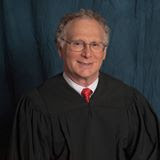 According to Judge Burke's campaign website, her campaign is being co-chaired by retired Appellate Court Justice Michael Gallagher and retired Circuit Court Judge Maureen Durkin Roy. Her Finance Committee Co-Chairs are Robert Cooney, Terrence J. Sheahan, and Matthew Walsh, II. Appearing before the Cook County Democratic Party's judicial slatemakers in August 2013, Richard C. Cooke did not flinch when asked whether he would run against the Party if left off the ticket. If you don't slate me today, Cooke said, "consider this my 2016 kick-off then." Cooke wasn't slated in 2013, but he has kicked-off his 2016 judicial candidacy in a big way -- one that may have an impact on many Cook County judicial campaigns this primary season -- or maybe not -- but we will come to that in time. First, we introduce Cooke. Licensed as an attorney in Illinois since 1992, Cooke began his legal career doing subrogation work for Northbrook attorney Michael R. Kuzel and, later, in-house for CNA Insurance Companies. Since 1997, Cooke has operated his own firm, carving out a niche for himself in the petroleum industry, with a focus on Illinois EPA regulatory statutes and underground storage tank issues. His résumé notes that he's drafted sample facility EPA compliance and operation manuals that are in use at gas stations throughout Illinois. Along the way, Cooke says he's had over 200 bench trials and over 25 jury verdicts -- and, since 2008, he's operated a self-funded free legal aid clinic for needy families and individuals in the Logan Square and Humboldt Park neighborhoods. Cooke's current campaign committee was set up on April 16, 2015, according to the Illinois State Board of Elections website. It's what he did on April 21, however, that is newsworthy. On that date, Cooke loaned his committee $500,000. I confirmed the loan in a conversation with Cooke earlier this week. Cooke is serious about winning election to the bench, he told me, but reluctant to hit up friends, family and clients for campaign donations. He had the wherewithal, Cooke said, to self-fund a strong, credible campaign -- and so he loaned his campaign the half a million. Nice story, right? The independence and impartiality of the judiciary is of vital import to continued public confidence in our courts. Many serious observers are worried about the potentially corrupting influence of money in electoral politics and particularly in judicial elections. Raising campaign funds makes a lot of potential judicial candidates uneasy. So it's tempting to stop the story right here -- with a candidate who has (spectacularly) demonstrated an ability to avoid the whole troublesome question of fundraising. But this is Illinois. And Cooke's actions -- well-intentioned as they may be -- may have unintended consequences. Readers may recall the name William J. Kelly from the Chicago mayoral election just past. No, his name never appeared on the ballot, even in the primary (he never filed nominating petitions). But Kelly announced that he was running for Mayor of Chicago, formed a committee, and, last October, loaned his campaign $100,000. Kelly told the Tribune last October that he intended by his action "to level the playing field" in the mayoral race, and perhaps that was his intention -- but it had the effect of blowing the caps off all campaign contributions for all mayoral candidates under Illinois law. Here's why. Section 9-8.5(h) of the Illinois Election Code, 10 ILCS 5/9-8.5(h), provides, in pertinent part, "If a public official, a candidate, or the public official's or candidate's immediate family contributes or loans to the public official's or candidate's political committee or to other political committees that transfer funds to the public official's or candidate's political committee or makes independent expenditures for the benefit of the public official's or candidate's campaign during the 12 months prior to an election in an aggregate amount of more than (i) $ 250,000 for statewide office or (ii) $ 100,000 for all other elective offices, then * * * all candidates for that office, including the nominee who filed the notification of self-funding, shall be permitted to accept contributions in excess of any contribution limit imposed by subsection (b) for the subsequent election cycle." There are notices that have to be filed, and posted on the ISBE website, and given to other candidates -- but the bottom line is that, once one candidate for a particular office self-funds beyond the statutory limit, all candidates for that office are exempt from contribution limits. That's easy enough to follow when one is running for mayor or governor -- there's only one of each -- but there are a number of Cook County judicial vacancies. We don't even know all of the judicial vacancies that will be up for election in the 2016 Primary. So... did a gesture meant to express independence from the arguably corrosive, corrupting influence of campaign donations inadvertently blow the lid off all campaign contribution limits in all Cook County judicial races? Section 9.8-5(h) is not entirely clear, acknowledged Ken Menzel, General Counsel of the Illinois State Board of Elections. In a telephone conversation with FWIW yesterday, Menzel explained that there would have been less of a problem if the loan had come much later in the election cycle. Right now judicial candidates are, theoretically, potential candidates for many possible vacancies. However, Menzel pointed our that regulations were recently adopted (on May 19, in fact) that may provide guidance. Menzel cited FWIW to Title 26 of the Illinois Administrative Code, Section 100.75. Section 100.75(j)(2) states that, "'Candidate for the same office' shall be determined by candidate petition filings. Prior to the actual filing of petitions for a particular office, a candidate for that office wishing to receive official notice of a Self-Funding Notification from the Board must inform the Board in writing of his or her intention to seek nomination or election to the office in question." At this point -- since Cooke has not declared for any specific vacancy and petitions can not yet be legally circulated -- it is probably safe to say that campaign finance caps (currently $5,400 from individuals, $10,800 from corporations, labor organizations or associations) remain in place for all judicial campaign committees except Cooke's -- and he's not looking for more money. "That's almost certainly the legislative intent," one prominent election law attorney told me, though he would not comment for the record because of the possibility that this issue might be settled in the courts. Hopefully, it won't get that far. Judicial candidates are more "risk-averse" than candidates for most offices, Ken Menzel observed, and therefore might not press the issue by seeking or accepting over-large donations. 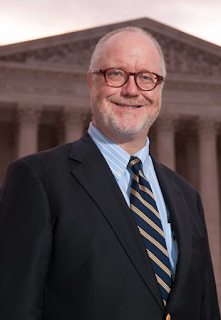 And, even if the ISBE might not cite a judicial campaign committee for accepting campaign contributions in excess of the caps because of the Cooke campaign loan, Menzel noted that, under §9-20 of the Election Code, 10 ILCS 5/9-20, any person who believes that the campaign finance laws have been violated may file a verified complaint with the ISBE, triggering a an administrative process that could wind up in court. For his part, Cooke has not set his sights on a particular vacancy. In 2013 Cooke said he wouldn't run against the Democratic Party in 2014 if he was not slated, and he didn't. This week Cooke told me that nothing has changed; he still does not plan to run against the Party if he is not slated. On the other hand, the Democratic Party has a half million reasons to listen carefully to Cooke's pitch at the next slating meeting. A reader alerted me to the 2016 judicial candidacy of Celeste Jones, an attorney in the Public Guardian's Office (Jones is listed in the current Sullivan's as Supervisor of Accounts and Assistant Public Guardian in the Adult Guardianship Division). That's a link to Jones' campaign website in the preceding sentence. Her site will be added to the list in a blog Sidebar when enough of these accumulate. Jones has been licensed as an attorney in Illinois since 1995. According to her campaign website, Jones has been with the Public Guardian's Office for her entire career, starting in the Juvenile Division, representing "hundreds of child clients affected by the child welfare system," winning promotion to "Lead Attorney" and handling child abuse cases. Jones moved to the Adult Guardianship Division over 12 years ago, managing, according to her campaign site, "the personal and financial affairs of people with disabilities, most of whom were elderly." Jones' campaign site notes that she "is a past Committee Chair and currently serves on the planning committee for Women Everywhere: Partners In Service Project" and also serves as a board member of Our Community of Illinois. A graduate of Northern Illinois University and the Loyola Chicago School of Law, Jones is a member of Trinity United Church of Christ.